Berman Creekside Park in Moscow exists thanks to the vision and legacy of Katrina Berman. Learn more about the Land Trust's first conservation project here. 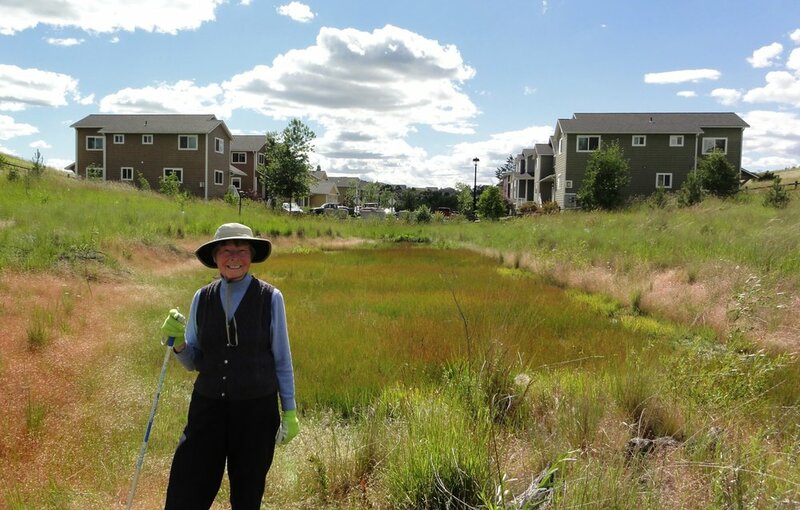 Pullman's treasured Sunnyside Park received an amazing addition of 1-acre of natural space thanks to Elinor McCloskey, a life-long Pullman resident. Learn about Elinor's conservation legacy here. Spanning 8 acres in the middle of residential Moscow, Rabbit Hills Preserve is a refuge for wildlife of all species. Featuring a fruit orchard, multiple ponds home to many aquatic species, and dense thickets to support birds, mammals, and reptiles of all kinds. Accessible and open to the public via the Palouse Clearwater Environmental Institute Nature Center.